My blog posts seem to start off with the same sentence, ‘It’s been a while’. But as usual, yes it has been a heck of a while. I mean we’ve had bonfire night, Christmas, New Year, Valentines and now Easter is fast approaching! Where has that time gone? 2016 is on to a flying start. Currently I am in my final year at university, so tension is pretty high with a near degree under my belt and I feel like I have no time for anything, or it’s just poor time management (probably the latter). I can’t begin to tell you how many times I have said the word dissertation, assignments, deadlines, oh my god I can’t do this (then I can hear my nan saying ‘there’s no such word as can’t… and she’s right) but I feel the need to write something that doesn’t involve over analysing everything and being critical, I want to write freely. So here I am. Youtube was to thank! Recently I have been flicking through old photographs of holidays and happier times to once again ‘avoid’ assignments (but those pesky things always creep back) and pretty much all my adolescent life to date has been captured using film cameras. It is one of my few hobbies that I have and it has stuck with me for years despite how much it costs me to get them printed. Not too long ago I sifted out all the film I had taken and it’s something like 20 odd which I need to get developed, kinda pricey considering they keep hacking up the prices. Nevertheless I still have many beautiful photo’s that I have captured over the years which gives you an insight to what the hell lomography is! Why do I use lomography? Where do I start? In today’s society this idea of ‘perfect’ is everywhere, you can’t hide from it! Social media is FILLED with celebrities and how perfect they look and it’s only photo editing and filters that make them look that way, and probably a cake mix of make-up on their face. Although I appreciate that is how they want to look or how they want to be perceived but I find it rubs off on people, especially on todays youth. I found myself living in a world where every photograph has to look perfect whether that be a selfie or a landscape, thats not how I see the world. I love the fact that lomography is ‘imperfect’ or however you want to describe it and technology is constantly advancing, and you can’t help but get suckered into it! Don’t get me wrong I love DSLR cameras and am an avid Instagrammer but I find lomography so much more interesting and artistic. Rewinding back to old times where everything was analogue I felt the world was a much more happier place, where getting your photographs developed adds an element of surprise, you can’t just simply click delete. That’s what I love, unknowingly what amazing shots you have captured, even the rubbish ones are interesting! I recently read that a quote ‘comparison is the thief of joy’ and I find myself constantly comparing myself to others in everything I do and thinking like that can make you feel pretty negative. Something about lomography doesn’t make me feel that way and I feel absorbed and find myself not comparing myself to anything because everything I capture in lomography to me looks pretty perfect even if it isn’t, maybe thats why I love it so much!?? I’d love to know your experiences of film photography or your thoughts! //From forcing myself to take outfit posts I have come to the conclusion I definitely basics. T-shirt and jeans any day, it’s just so comfortable. As much as I love all types of clothes I’m not going to wear something that I don’t feel confident in, I mean who am I trying to impress? no one! 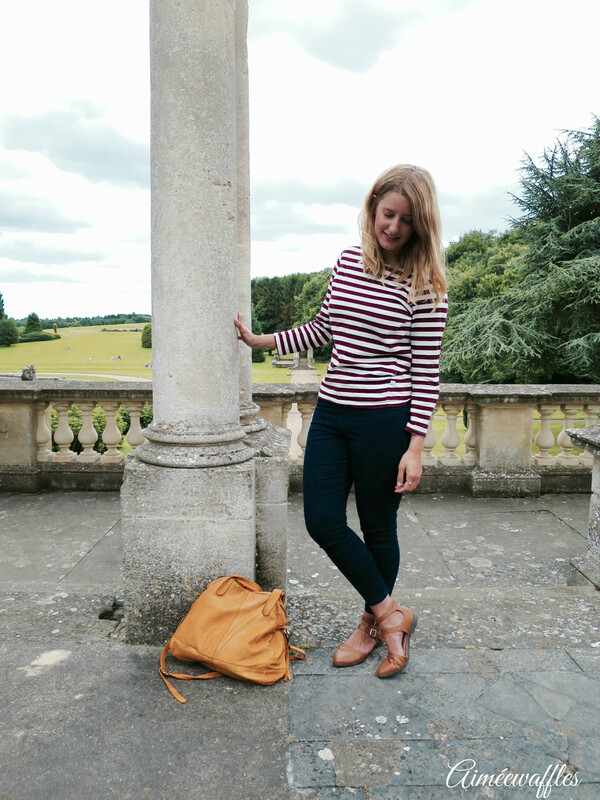 If you read my post from The best weekend then you might be suspicious that I am wearing the same clothes (oo your such a detectives). Yes I thought I would kill to birds with one stone, but not literally, I could never do that. //My statement in any outfit I wear is that I am always accompanied with a tan bag or shoes, I have a thing for tan. All my bags look the same but are all a different shade of tan, it’s an addiction. //Stripes is my second biggest addiction. 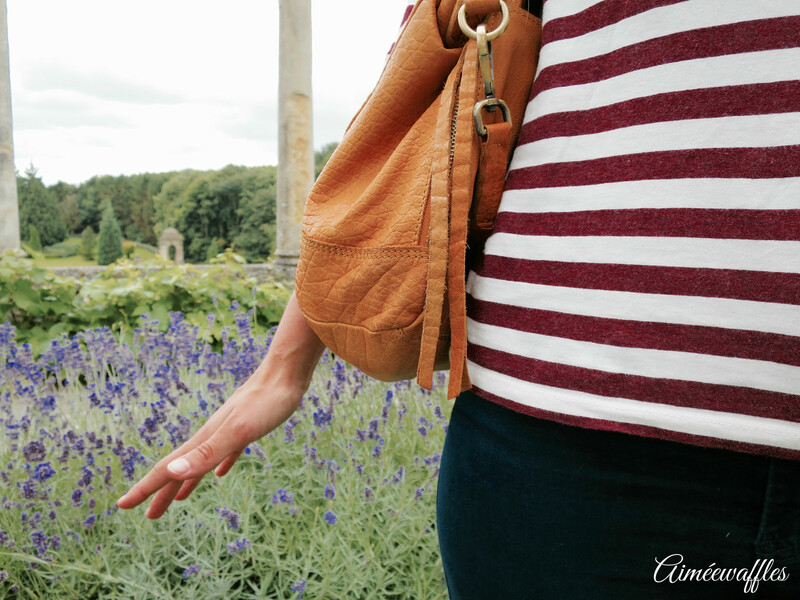 I don’t know what it is about them but I am constantly buying stripes, I just think they are such a simple statement without having to go overboard and a plain striped tee won’t break the piggy bank which is always a bonus. // So where is it all from did I hear? 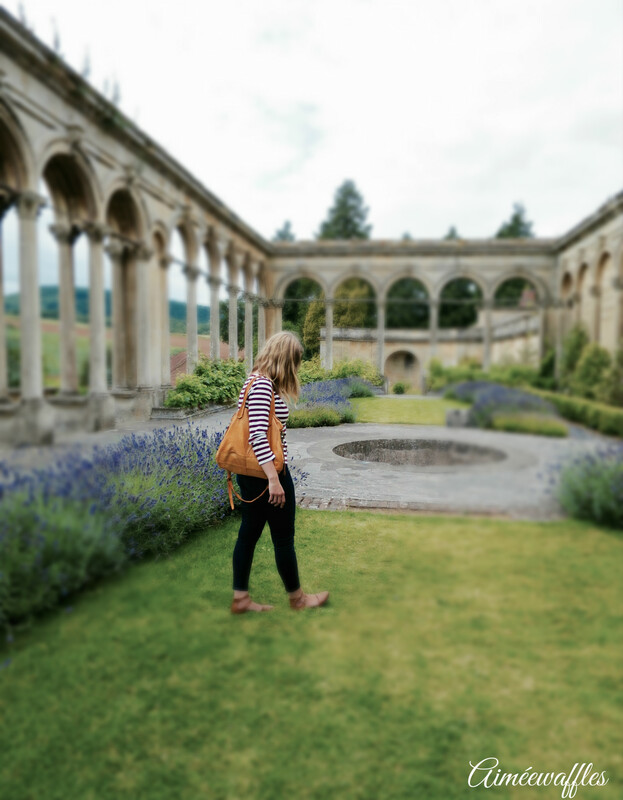 Top– Olive clothing based in Cheltenham, I could buy the whole shop if I could afford to and they have a lush Instagram account! Jeans– ASOS high waisted cropped ankle grazers! I prefer these to the Topshop Joni by a mile off. I can actually breathe in them and they graze my ankles! I haven’t come across any ankle grazer that does that for me. In the Joni I have to go a waist size bigger just so my stomach can move, they fit me fine but they seem to have an extra tightness in that area. So if you have a similar problem head over to ASOS, cheaper as well and you don’t feel like your becoming a whale, you can fit into your actual size guys! Shoes– Primark. I’ve had these for a while and they are lasting really well, I am not a big Primark fan as I feel everyone ends up having the same clothes, but so far I haven’t seen anyone in these shoes but I am sure thousands of folk have them. Necklace- Accessorize. 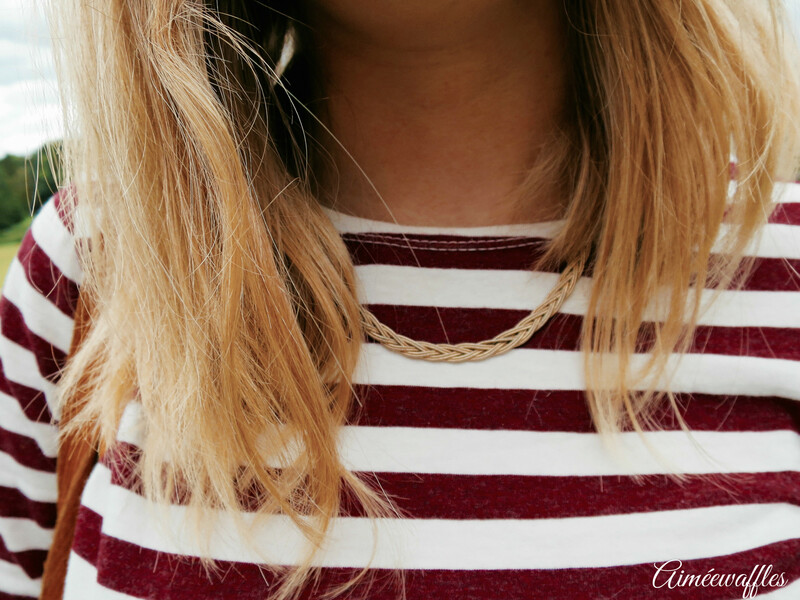 Cheap and cheerful gold necklace which pretty much goes with anything! Bag- Topshop. This bag was a bit of an investment I must say it was around £60 and for a student it did break the piggies BUT I needed it. I have this ethic of if you want it buy it or else you’ll regret it, so many times I have resisted buying something and gone on to majorly regret it. So if you can’t stop thinking about it bite the bullet. Let me know what you think! It was a right laugh trying to get photographs for this neither Ezra and I are models or photographers and he had to keep getting me to say B*******s to smile and look ‘natural’. If you like the look of the location it is definitely worth a visit all details are on a previous blog post called ‘A great weekend’. While composing this blog I was watching a small Youtuber family called The Michalaks, I absolutely love them they are my all time favourite! Check them out! I’m thinking of writing a blog post about my favourite youtubers, so watch this space!